Pound still has a strong influence situation BREXIT. In the first half of the week T. Mae promised to conduct successful negotiations with opposition leaders. Investors Against this background, actively buying the pound. 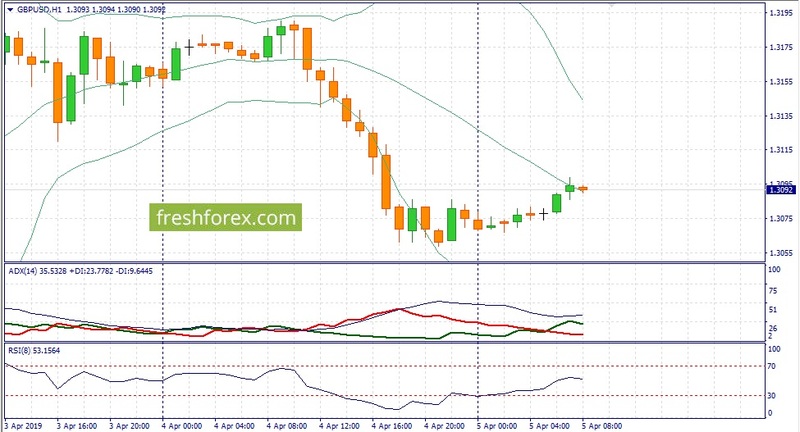 On Thursday it became clear that the first round of talks ended without results - in the end position on the British currency funds were liquidated, and forex traders saw a return to the psychological level of 1.30. Adds "fuel to the fire" Brussels, who does not want to delay in BREXIT, of which more than once asked the British prime minister. The trend in the GBP / USD pair is changed every two days, and the trend is determined by the policy. It will not be surprising if the politicians will say today that we are ready to sign an agreement on BREXIT pound and unfold upwards. Maybe it will happen next week. Now a pound of much uncertainty and it is advisable to monitor developments and miss the trade. Alternatively, you can choose oil BRENT, of which there is continuing strong uptrend and we can expect growth of quotations in the area of ​​70.15. Today forex players in the USD / JPY pair waiting for the "roller coaster". Initially, you can expect a decrease in the pair after the release of employment data in the US for March, where investors may start selling the dollar against a background of decline in average earnings. 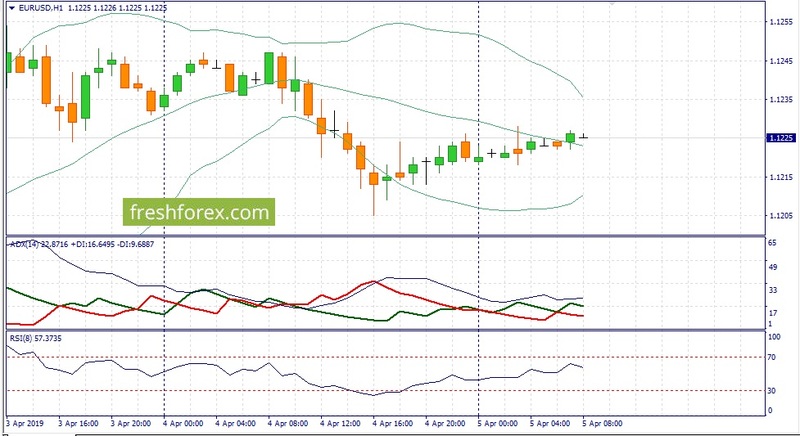 Then necessary to wait for a reversal trend upwards, as USD / JPY pair will be correlated with the dynamics of the US stock market, where the index # SP500 approaching psychological level of 2900 n. Investors are actively buying stocks, as expected positive outcome of trade negotiations, the US and China, which in this week held in Washington. D. Trump said yesterday that negotiations are going very well.